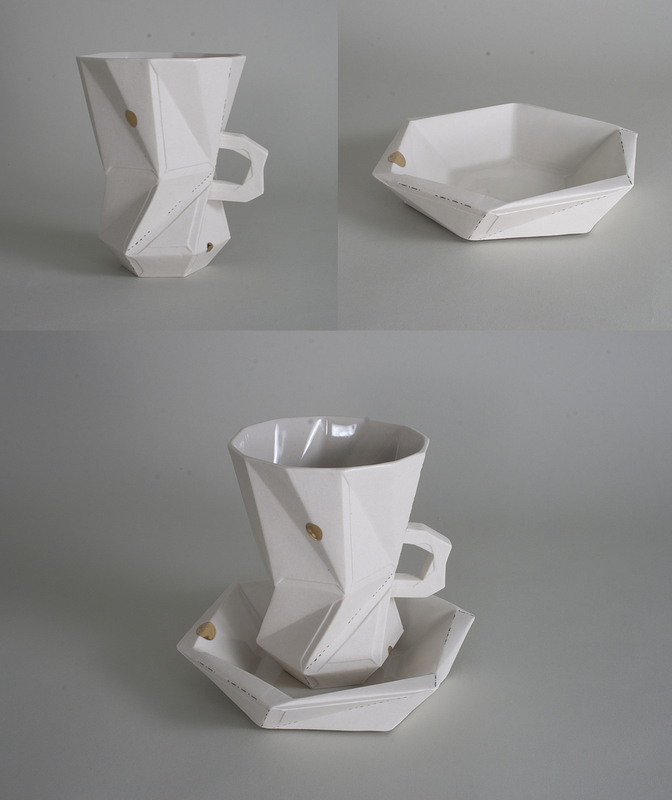 Oribe ware was developed and named after the tea master, Furuta Oribe. It was a ground-breaking style of ceramics in the late 16th century in Japan. It was created and produced in an environment where the ceramics industry was going through a technical revolution specifically in kiln technology and glaze formulations. Its bold and playful forms and motifs on the surfaces were often unconventional, abstract and geometric. I started to see the connections between my functional ware and Oribe ware. There is a similarity in the geometric visual elements that both works explore. Also both were developed in the environment where technical advancements were undertaken. 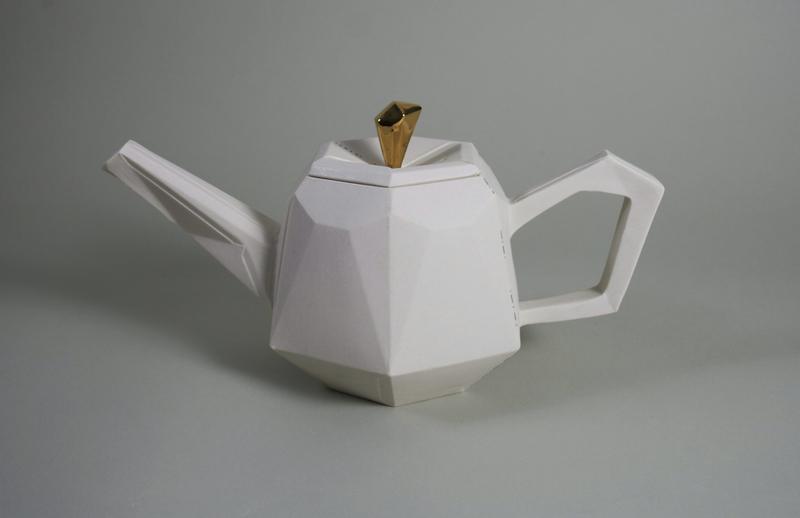 Digital technology is more available today for ceramicists. Combining technology and labor-intensive hand made process has been a major consideration in my studio practice. Orime ware was developed with this relationship in mind.